This course introduces the participant to OSHA’s Lockout/Tagout standards and Lockout/Tagout programs. It is designed for persons from any industry in which Lockout/Tagout standards apply. Discussions will include how to implement and maintain a Lockout/Tagout program in the workplace. Participants are encouraged to bring questions from their own businesses for discussion and answers. The risks associated with Lockout/Tagout non-compliance can be grave. Poorly organized or poorly implemented Lockout/Tagout procedures can result in serious injury or death. 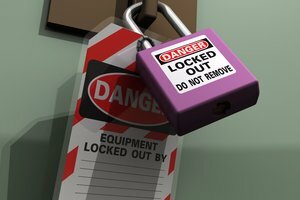 Conversely, the rewards associated with a well-organized Lockout/Tagout program are many! To continue with online registration, please fill in the required information.